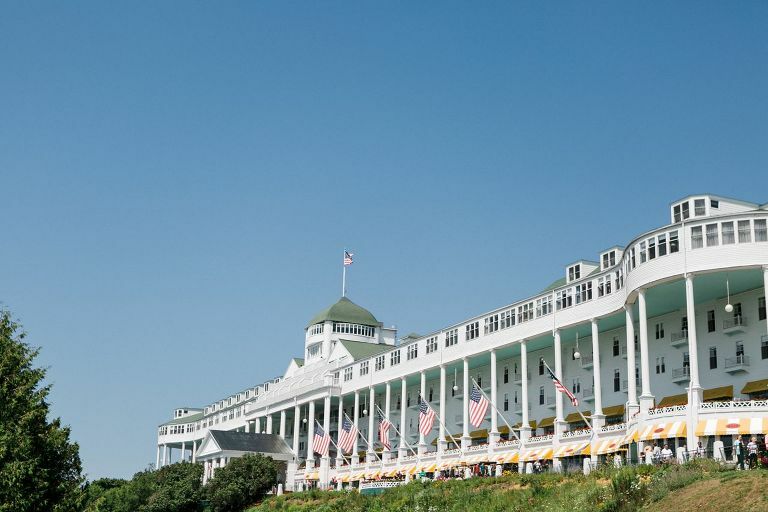 When thinking about Grand Hotel Wedding Photography, this beautiful wedding typifies all the charm and elegance that is possible with a Mackinac Island Wedding! This summer day in July with the Straits of Mackinac as the backdrop set the perfect stage for their intimate wedding. Taking Shepler’s Mackinac Island Ferry over to the island vis a vis a detour under the Mackinac Bridge for a great opportunity for an up-close look at the Mighty Mac! With the absence of motorized vehicles the island was abuzz with the hustle an bustle of bikes, horse and carriages and tourists on foot roaming the streets. 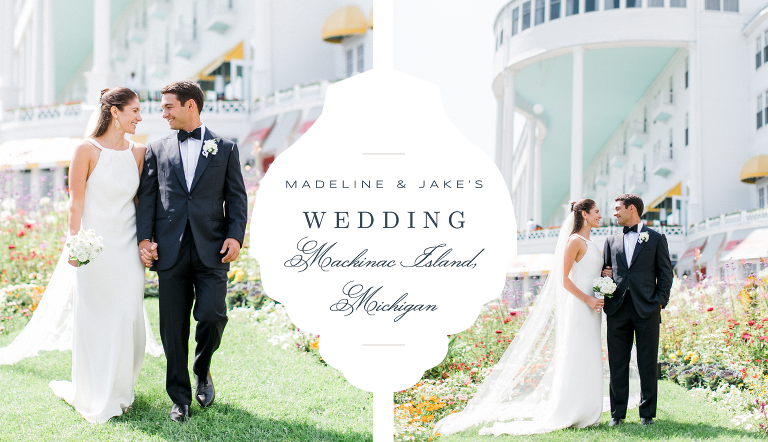 The Grand Hotel Wedding Photography of Madeline and Jake had so many special moments. From their first look, to their beautiful wedding vows, to dancing on the beach at sunset, this was a wedding to remember forever! 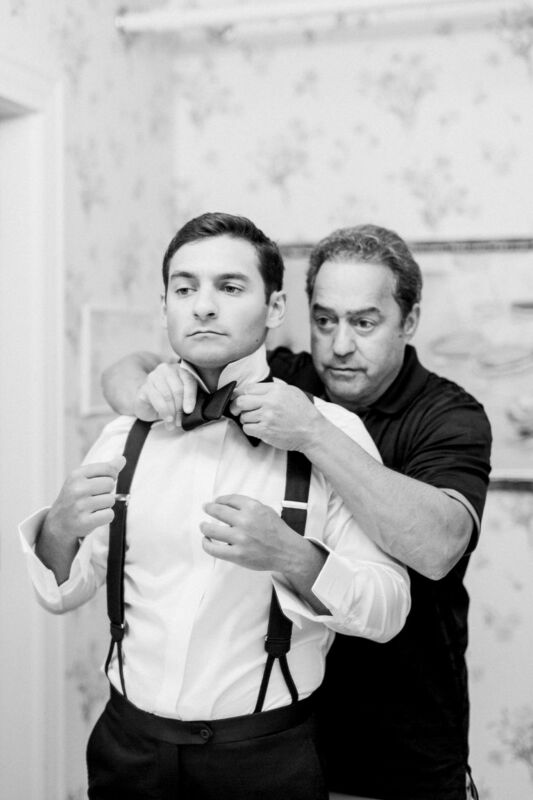 To see other amazing weddings photographed by Associate Photographer Megan check them out HERE! Kelly & Paddy are a fun loving couple who wanted Classic Yacht Engagement Session photos in Kelly’s hometown of Leland, Michigan. Their session started in quaint Fishtown. With sunset approaching we hopped aboard the classic yacht Chris Craft called Waterboy which belongs to Kelly’s Uncle. The results were some of my favorite Engagement Photos of the day along the river and on Lake Leelanau. As golden hour came to a close we strolled along North Beach to finish off their engagement session. Their Classic Yacht Engagement Session was one of my favorites from summer of 2018! See more weddings and engagement sessions photographed by Cory HERE! Sydney & Nate’s Bay Harbor Wedding was a picture perfect day in beautiful Northern Michigan. Their wedding was a sun-filled celebration comprised of a traditional catholic ceremony, classic details, and a coastal wedding themed reception. All within the idyllic town of Petoskey, MI. With all of these classic elements, theirs was a wedding that will truly stand the test of time. To see another amazing wedding photographed by Cory in Bay Harbor check out Sarah & Brian’s Wedding HERE.